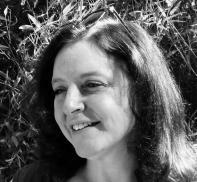 Sarah Einstein is the author of Mot: A Memoir (University of Georgia Press 2015), Remnants of Passion (Shebooks 2014), and numerous essays and short stories. Her work has been awarded a Pushcart Prize, a Best of the Net, and the AWP Prize in Creative Nonfiction. She is a professor of Creative Writing at the University of Tennessee at Chattanooga. This interview was conducted in person at the NonfictionNow conference in Flagstaff, Arizona by Interview Editor Leah Newsom. Of the process she said, “though my memory of NonfictionNow is hazy with exhaustion, it was such a pleasure to meet with Sarah. Her writing is so honest and reveals the nature of complicated friendships. I appreciate how warm, how funny, and how kind she was, especially to take time out of the conference to meet with me.” In this interview, Sarah lends insight to the process of writing nonfiction, the ethics of writing about another person, the dangers of writing with an agenda, and the unique way she elicits memory to write memoir. Superstition Review: I love how your memoir Mot is structured. It is comprised of seventeen essays that all work well on their own, though they function best as a whole. Tell me, did this start as a single essay and evolve organically, or did you intend for it to be a full-length memoir from the beginning? Sarah Einstein: So, I think that probably is a function of the fact that I usually work in short form. Readers have told me that this is a collection of essays all strung together, which I didn’t know until it was out in the world as a book. I thought it was a continuous narrative. Some of that has to do with the fact that I wrote it while I was a graduate student at WVU getting my MFA. The way that we workshop pieces is that you bring in a short work to workshop, and I wanted to workshop in chapters. So, I think it’s more an artifact of the process, because I did always envision that it would be a continuous narrative, although there is an essay version of the first four chapters that is really compressed that Ninth Letter published. And then there’s a later chapter about the first homeless man that lived in my house, and that originally appeared in The Sun. So, a couple of the pieces were intentionally designed as stand alone essays, and I think that informed the structure of the rest of the chapters. Plus, because it was an episodic friendship, you had this episodic narrative that was built into the way the friendship worked. I would go visit him out west, and then there would be a period where he was gone, and then I would go visit him out west again. SR: So, I was really interested in the epigraphs for each essay. I thought that they were all so diverse, between Rabbi Hillel, Anne Shaw, a writing professor of yours, Kevin Oderman. I was curious how the epigraphs figured into the composition of the memoir, and what the deciding factor was for each epigraph. SE: I feel like everyone figures out their life differently. Some people call their friends on the phone to talk about what’s going on, to make sense of their life. Some people go to therapy, which maybe I should do. I go to books. And the way that I understand my own experience is by finding people who are writing things that speak to me in the moment. So, the epigraphs were really a way for me to bring in the writers I was reading while I was living this, in order to understand this friendship with Mot, and in order to understand this desire to make the world better in a place where I was having to come to terms with the fact that the possibilities are limited. If you look at the epigraphs, a lot of them are spiritual writers, but who are writing in different traditions than the narrative of love, salvation, and redemption. There’s a lot of Rumi, and I love Rumi. My very favorite one is the Hafiz poem about “God and I have become like two giant fat people living in a tiny boat. We keep bumping into each other and laughing.” I just have always wanted to find some place to put that, because I think that everyone should know that particular poem. For me, the epigraphs are a way to put the reader in the context of my own figuring out of what was going on. SR: You’ve presented Mot to us in such an enticing and complicated light. In fact, in the first scene in “The Nearest Walmart” when he’s living in his car, you’re engaged with him immediately. You don’t ask the reader to pity Mot, but simply get to know him through your lens. How cautious were you, while writing, about preserving his agency? SE: I was so cautious. I feel like if you’re going to write about another person, the ethics of that are so complicated. There are a couple of things that I really wanted to make sure of. I took copious amounts of notes while I was visiting Mot, and Mot knew I was writing the book, although we both thought that I was actually pretending to write the book so people would stop yelling at me about how unusual it was to go visit a homeless friend. So, the book was my excuse for the visits, rather than the visits being driven by my desire to write the book. But I would show him my notes, and he would correct things, saying, “I didn’t say that, I said this.” So, he had agency even in the writing of the book. In several places I include emails that he wrote, and I wanted to make sure that this voice was present. But Mot was genuinely my friend, and I loved Mot. It was really important for me to make the reader understand that he wasn’t somebody I pitied, Mot was somebody whose company I enjoyed. I wanted it to come through that this was a friendship, and we were in it because we both enjoyed the companionship of that friendship. It was just shaped the way it was shaped because of the difficulties in both of our lives at the time. SR: I was going to ask you about what challenges you faced in writing a memoir that is so much about another person. In fact, I think every panel that I’ve sat in on thus far in the conference has been about that. SE: Oh dear, I’m doing panels on Saturday and that’s what they’re about. They’ll be bored with that! Maybe I’ll tap dance. SR: Well, we would all love that. So, there’s so many moments where Mot says highly intelligent things, or reveals parts of his life that are incredible, like all the world-traveling, taking college classes, or even having the skills to repair things around the apartment. In what ways does Mot’s characterization change stereotypes or perceptions that we have about the homeless? SE: One, I think that the word homeless is in itself really problematic. I think that we take this one very basic common denominator, which is people who don’t have places to live, and then we created an identity out of that, when, in fact, we’re talking about several very distinct communities. And in Mot’s case we’re talking about the community of veterans for whom veteran care has really fallen down. That’s a very particular part of the homeless community, and even that community is splintered into a couple different sub-communities. So, there are people for whom their experience in war has been so horrible that it is the central trauma, and that community tends to stick very much together. Homeless veterans for whom the experience of having gone to war was sort of the central fact of their difficulty really banded together. The part of the homeless community that was homeless because they were struggling with addiction disorders really banded together. And where those two overlap, you see a schism. For Mot, his mental illness was not tied to his service. He did serve, but he did not serve in an active war theater. He didn’t really fit in any of these sub-communities. There is a large percentage of the homeless community who are hugely, hugely bright, and who are coming up with fascinating and inventive ways to survive lives that are far more difficult than any life I will ever live, but who are dealing with issues of mental illness. Mental illness is so much more complex that we are willing to admit. Mot had to figure out strategies for living in a world where he was pursued by demons and old testament gods, who wanted to make him do things he didn’t want to do. The necessity for the way to live a life in spite of that really led to some ingeniousness. But I don’t think that that is uncommon. I just feel like the way he dealt with it was so literary, and spoke to me, that it allowed us to be friends. I think the other ingenious ways that people deal with other equally valid. It’s sad that we’ve created so little space for those lives. SR: Doubled up! That’s it. SE: Where you’re living in a home that you don’t have have right to be in legally, and the people who tell you to leave can just tell you to leave right away. And interestingly, this is my experience as a married person. We had a prenup that gave me no rights to the house. It wasn’t that my ex-husband was always threatening to kick me out, but our marriage wasn’t a good one, and it didn’t last. And because I was working with the homeless, I was very aware of the fact that my right to live in this house was only by his kindness. SR: Yeah, that’s not safe at all. When you started writing the memoir, was there an intention to bring up these concepts of breaking stereotypes, or presenting homelessness in a different light? SE: No. I am a very political person, and I feel like I had to make that part of myself go sit in another room while I wrote. If you write with a political agenda, rather than writing to discover, the reader is always going to know that. I didn’t want to overwrite the experience with the politics. I’m happy that the experience was an experience that troubled those politics. There were some chapters early on that had lots of statistics in them and a little railing against the system, and they don’t belong because this is really the story of my experience with this one friendship. And there’s stuff I would have felt like I had to leave out if that was my goal. One of the trickiest things was that I decided I had to leave in how complicated things were at Friendship Room. I had to leave in the violence. I had to leave in the issues with drug use. Otherwise it wasn’t a true story; otherwise, I was lying. I’m one of those sticks in the mud that believes nonfictional means it has to be non-fiction. If I had been writing with that agenda, I don’t think I could have included that stuff, I would have had to gloss over it. SR: Right, because it complicates things further. SE: But I also feel like we owe it to everybody, the people who want to be engaged in making change, but also the people who are living these lives, to be honest about them and confront them in their complexity. Because where things fall apart is where we create these really simplistic pictures, and we start making efforts, and the efforts don’t work because we haven’t confronted the reality of the situation. SR: I was actually going to ask you about something you said in an interview with Hippocampus. You say, “I write mostly nonfictional things because of the special agreement that readers of nonfiction make with authors: we will believe these things happened because you’ve told us they have, you don’t have to justify the actions of the people on the page to us. By the way, this is also why I’m so completely in the camp that says nonfiction needs to be actually nonfictional.” Which brought up the question, to me, if Mot would have been as successful of a narrative if it was labeled fiction. What about it being true changes it? SE: So, there was a time where I was being encouraged to reframe this as a novel. And interestingly, as a romance, which I always thought was a bad idea. I feel like if it was a novel, the first thing that anybody would ask, and rightly so, is “what is this character’s motivation for having this friendship and for traveling out west to be homeless with a homeless friend?” And you would need a really serious character motivation for that to work in fiction, because that’s how fiction functions. In nonfiction, I can just say, “he was my friend.” And of course you want to be around your friends. I recognize that it’s a little odd, but if I’m interested in something I want the freedom to pursue it even if it’s an odd thing. And that’s enough motivation in the real world, and enough of why can be I just did. That’s it. I don’t think there was anyI was meeting this deep, unrealized need or something, I just hand this friend who was living a very strange life. I still wanted him to be my friend. This was how we tried to accomplish this. Whereas, in fiction we would have had to have all kinds of lead-up stuff. SR: Workshops would have been excruciating. SR: So, one thing, and you brought it up earlier, about taking “copious amounts of notes,” there’s a lot of sections that have full paragraphs of dialogue. I was wondering how you managed to get that in there, how you organized yourself during the writing process in order to truthfully be able to put in dialogue. SE: Early on, and this stopped about halfway through the friendship because it was getting to uncomfortable for Mot, we would have a conversation and I would go and take the notes. He would look them over and say, “Yes, I said that. No, I didn’t.” Because Mot was okay with me writing the book, even though, again, we never thought anyone would ever publish it, or that I would ever finish it; it was a lark, and he was okay with that for a while. For those sections, I actually often have notes that are the dialogue. But, in the later sections, I don’t. I have what I wrote at the end of the day when I would get home. In some cases I had to work really hard just to remember the dialogue, and I do believe it’s still nonfictional enough. I know this person’s voice very well, they’ve participated in how it shoes up on the page in earlier parts of the book, so in some of the cases I’m reconstructing the dialogue, rather than having a transcribed version of it. And I struggled with that. There are places where I wanted dialogue, but I don’t have any, because I didn’t feel like my memory of the events was close enough. I relied on the voice recorder on my phone a lot, too. So, some of them are actually transcriptional. In the chapter where we’re in Car Talk, I had a transcription of the show when I was working on the book, but I also had an hour long recording of us listening to the show. SR: So it’s not only the show, but also you guys sitting there. SE: Sitting there. So that’s one hundred percent transcribed. That’s actually what we said. SR: That part was gut-wrenching, just waiting to hear these guys that don’t know what’s happening on the other side of the radio. That’s really cool that you have a recording of that. So, there’s parts where I was cringing, but there’s also parts where I was laughing out loud. SE: Yay! Me too. All through the friendship. That’s sort of the balance. SR: So, specifically, one of the moments that I found the most humorous was when you guys are at the Salvation Army and you’re talking about who owned these bad paintings previously, and you’re making up all of these fictional characters who would have had these terrible paintings. I was curious how humor plays a role in your writing, not just in Mot, but in general. SE: I like humor of the absurd. One of the best things about life is the absurdity. I never write with the intention to be funny. I rarely write with a specific intention, at least in the early drafts, because I always feel like the intention always overwrites whatever is going to show up on the page. Because my understanding of the world is very much mediated through humor, and through joy, and I hope that people get the sense that this book is about this joyous experience, as difficult as some of it was, to have this amazing friend out of nowhere, in middle age, when this kind of friendship is less likely to happen. Humor and joy are really tied to each other. I never want to write anything that makes the reader come away feeling only discouraged, only angry, because those are hard places to be. If someone gives me their time to spend time with my writing, I don’t want to send somebody away with that incomplete picture. There is nothing that has ever happened to me, and I have had a complicated life, that has ever been so bad that it was completely joyless, even if it is the way in which people have come together after tragedy to support each other, so I always want that part in the work too. SR: Well, I think you do a good job of that, especially in the later sections of the book where you’re talking about your experience at Friendship Room, and your friendship with Mot, and how someone might construe it as a “I’ll never work with people” again, kind of thing. But I think you do a good job of negotiating that, and telling the reader that this isn’t exactly what it sounds like. SR: We kind of talked about this a little bit, but I wanted to quote to you a line from the chapter “Driving Home.” You write, “Mot’s mental illness infuses everything with meaning. I’ve spent a week immersed in the unreal. It takes work to pull myself back into the world of simple cause and effect.” I’m curious how working with, and becoming friends with people with mental illness has changed the way you interact with people in general. SE: I’m a little cautious about the idea of mental illness vs. mental health. All of us are seeing the world mediated through this sort of biology and chemistry of the way in which the brain functions. While Mot’s experience of the world was incredibly unique, and it wasn’t part of our shared agreement of who things work, I also always know that at any given moment the way that I am interpreting events is so mediated through my body, my past history, my preferences, and it’s all part of this continuum. That’s just the nature of being human. We always want to put patterns on things; we always want to taxonomize things. Mot’s illness was largely about overdetermining patterns. If we were some place, and there would be a random noise, for me it would be a random noise, for Mot, it would signal something. I think about things, like in friendship, like if I have a friend that says something like, “boy, you’re really looking tired” a lot, then I start thinking, “why is this person unhappy with me that they’re always telling me I look tired. I just look fifty. And fifty looks like a tired forty.” I start trying to read things into that, when probably it’s just an observation like, “You turned fifty. You’re getting a little older, there, Sarah.” And I feel like that’s something we all do, and that my understanding of the fact that this is something we all do also tempers my conviction in my own understanding of things, and whenever I have an unkind interpretation, it allows me to say, “Eh, it’s probably just my stuff.” So, I look for what I know is really, completely true, and only make decisions on that. Which is one of the joys of nonfiction. As we write it, we come to realize how very little of our memories of events actually match with the memories of the events of the other people who lived them. SR: I know that there’s been a lot of discussion about your essay in Salon, the “I’ve Never Turned Heads” essay, and I’m not going to spend a ton of time asking you about it. I was actually more interested in the idea that physical aging and history are connected. You say, “Where the years weigh heavily on me, it is because they were good years lived well, and I have no desire to make my history invisible.” I was curious how this philosophy propels you to write nonfiction. In what ways do you use the truth about your history to defy expectations people have of you? SE: I want to say first that I feel like I’m very lucky, and the expectations people have of me are often really lovely and fabulous and I try to live up to them. Like, the people who just gave me a job. I think their expectation is that I will do it well, and they’re trusting me to do that, and that’s great. But there are more of these cultural imperatives that I want to push against. One of the things that was really surprising to me when I wrote that piece was the number of women who are staunch feminists who came out and talked about how horrible this was, because every woman is beautiful. The problem with that is that you’re saying beauty is an imperative. That you have to be beautiful. And I’m not, and I don’t have any illusions that I am. I’m plain, and I think plain is a perfectly fine thing to be. I actually think beauty is a rare thing. I think if it’s not, than there is no beauty in the world. Like, “that chair is so beautiful, that table is so beautiful.” They’re not. They’re plain, functional, perhaps pretty things, perhaps well-made things. But beauty is something very unique. I feel like we’re in this moment where there are so many imperatives. Sometimes we do a good job pushing against them, by saying no. Health is not an imperative, We say, of people who have behaviors we don’t like, “that person’s so unhealthy,” “that’s such an unhealthy thing,” or “I couldn’t be around that person because it was too unhealthy for me.” But what about people who are actually living with dis-ease? That says being unhealthy is bad, that there’s a moral failing. Or being not beautiful is bad. I prefer to say no. You can live a fine life and live with dis-ease, and many of us do. You can have a perfectly fine life and be a plain person, or an ugly person, and there’s not an imperative that says you can’t do that. The idea that we can’t be honest about that, that we can’t have adult conversations that say everyone is gifted with some things and not with others. In a world where our understanding of who is a good person and who is a bad person is inflected by things that move beyond behavior and choice. I think we have to reexamine that. SR: I’m curious, did writing Mot completely change the way you write nonfiction? SR: So, we have one question that we ask everyone. We always ask what your writing space looks like. SE: I don’t have a writing space. I used to, before we moved. There’s a corner in our living/dining room where I have a computer, and I have my office at school, and sometimes I write in coffee houses. Sometimes I write on my phone, hopefully not while I’m driving, but sometimes while my husband is driving. I want to write a piece, for example, that is about the weird tension between mine and my husband’s backgrounds. My husband us Austrian, and both of his grandfathers fought on the side of the Germans during WWII. And one of his grandfathers was a member of the Nazi Party and fairly high placed. I’m an American Jew. So, my writing space for that essay is going to be, with any luck, all over Austria, because I want to write in the places with the smells and the sounds that I’m capturing on the page. So, for me, the writing space is often very tied to what I’m doing. I believe sense memory is really key. I used to have this really dumb trick when I was writing Mot. I have this shoebox, and in this shoebox are all these doubled-up Ziploc baggies, and one of them has a rag soaked in his laundry detergent in it. One of them has dry alfalfa in it, because he always made alfalfa tea. One of them has lapsang souchong, which is a smoked tea, so it smells like campfires. All these different bags that were smells of our time together, that I use when I need to recall memory. Because memory and smell are tied together in a way that none of the other senses are, it often really worked. But it also meant that I have a weird box of stuff that I smell. It really works, and I encourage people to experiment with it. Particularly for writing about family members. I know that my grandfather always smelled like starched linen, lilac vegetal, and cigarettes, and if I wanted to really recall things, that smell would make it so much easier to get the sense details for that scene. SR: That’s really cool. I don’t think I would have thought to do that. SR: There should be a panel where people introduce ways that they recall memory—the weird things that they do. Someone should have made that panel. SE: AWP! Want to be on it? SR: Maybe! I don’t think I have anything weird to share. SE: Develop some weird practices. That’s really important if you want to be a writer. Oddness matters.